The first portion of this podcast is feedback from last week’s episode: The Low-Hanging Fruits of FI. Anonymous talks about Project FI and tells us about calling to get cell phone data reports. Cody’s mom asks us to clarify how WiFi works. Luke from Forming the Life talks about the power of automation. Jeremy corrects Cody about AskTrim and mentions Truebill. Mike weighs in about Sling TV for watching football. Emily tells us about saving money on groceries with Checkout 51. 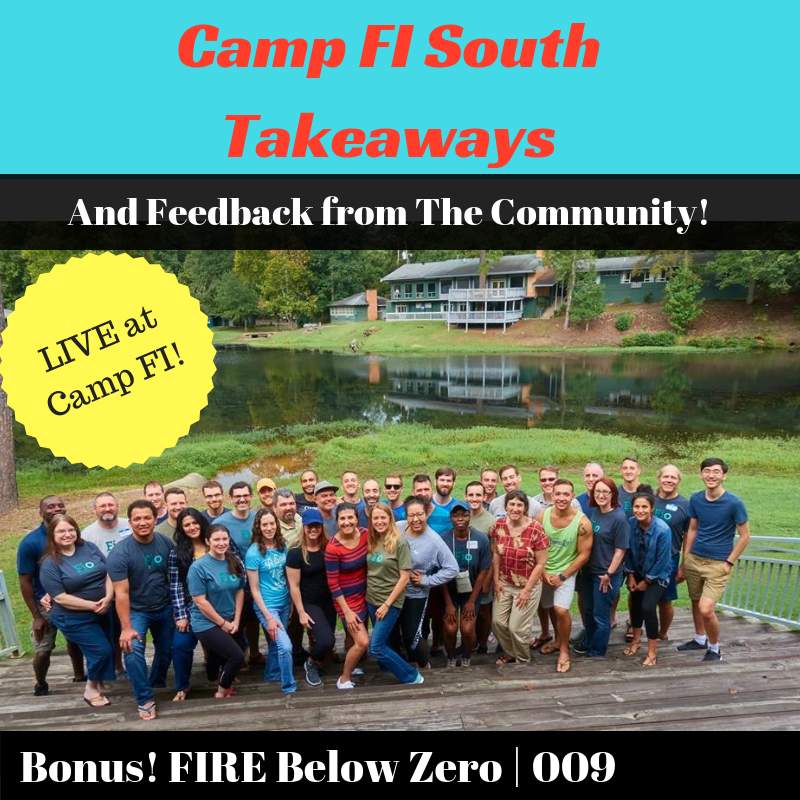 The second portion of this episode was recorded LIVE from Camp FI South! Whitney Hansen of Money Nerds, Paul Thompson of Ready Investor One, TJ and I all asked the attendees to share their #1 takeaway from Camp FI. Enjoy!